The ICAMS seminars in the winter term 2012/2013 will start on October 29. 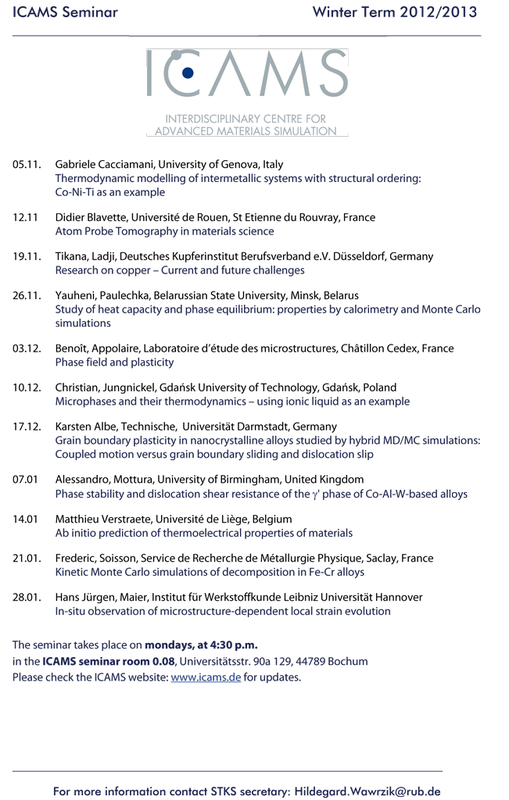 The seminars take place each monday at 4:30 p.m. in the ICAMS seminar room 0.08, Universitätsstr. 90a, 44789 Bochum. Please check the ICAMS website for updates.